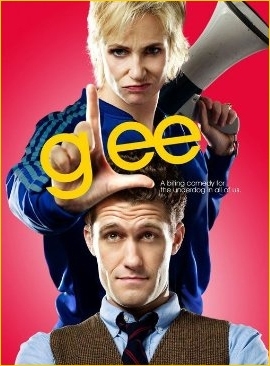 Have you tuned in to see the television show Glee yet? A well-written, witty musical comedy, Glee features a very talented cast performing several songs in every episode. The series’ music has really taken off, with a first CD already on the shelves. A few of the show’s covers of well-known songs have been declared “better than the original” in this household. Glee has also provided us with some very touching moments between the toe-tapping and chuckles; it’s a nice change from the usual police procedurals and hospital dramas filling the evening airwaves. Glee airs on Wednesday evenings at 9:00 p.m.